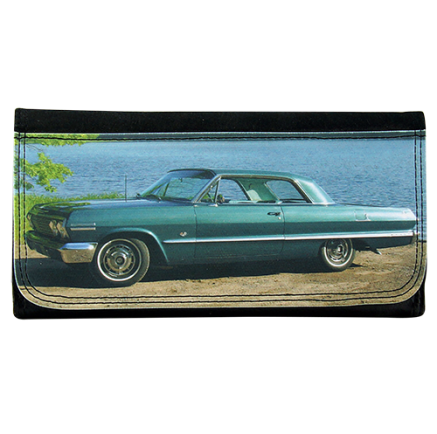 Our long leatherette wallet features your favorite photo printed on a 7.25 x 3.75 surface. The cover with snap closure opens up to a zippered coin purse and receipt pocket. A separate flap with snap closure reveals credit card pockets with room for 7 cards, and checkbook cover. Leatherette has a soft leather-like feel and is easy to wipe clean. Long Wallet Size: 7.25" x 3.75" x 1"
Long Wallet Imprint Area: 7.25" X 3.75"
Enter the number of wallets you would like with this image.